This is a document that you MUST read when you are involved in substation automation. Part 7-5 describes in examples the use of logical nodes for modeling application functions and related concepts and guidelines in general independently from any application domain respectively valid for all application domains in the electric power system (substation automation, distributed energy resources, hydro power, wind power, etc.). This part 7-500 describes in examples the use of logical nodes for application functions in substation automation including also line protection between substations. It implies also some tutorial material where helpful. But it is recommended to read parts IEC 61850-5 and IEC 61850-7-1 in conjunction with IEC 61850-7-3 and IEC 61850-7-2 first. This part of IEC 61850 describes the methodologies for the modelling of logics for IEC 61850 based applications in power utility automation. In particular, it describes the functional view of logic based on existing logical nodes for generic process automation and the operational modes of the logic. Furthermore it includes the specification of the standard language to be applied to specific the logic as well as the related data exchange format between engineering tools and their application as well as the mapping of logic elements to IEC 61850 data types. The IEC 61131-3 PLC programming language is used to describe syntax of functions. ... more to come next year. This guideline is focused on building Application / function profiles and specifies a methodology to define Basic Application profiles (BAPs). These Basic Application profiles shall provide a framework for interoperable interaction within or between typical substation automation functions. BAPs are intended to define a subset of mandatory features of IEC 61850 in order to increase interoperability in practical applications. In the context of standards the term “profile” is commonly used to describe a subset of an entity (e.g. standard, model, rules). Accordingly an IEC 61850 standard profile contain a selection of data models (mandatory elements), communication services applicable and relevant engineering conventions (based on the Substation Configuration Language SCL defined in IEC 61850-6) for an application function of a specific use case in the domain of power utility automation. customer telephone complaints and supervise the location of field crews. This part is closely related to the Common Information Model (CIM). As 2016 comes to a close, I say "a hearty Thank You!" for choosing our services, visiting the IEC 61850 blog, and for the great cooperation this year. I wish you, your family, and the many people around you a happy, healthy and prosperous New Year 2017 … living in peace and harmony. Hope your home is a safe place to live. Take care. Please, help to keep the power flowing and the grass green - with the various standards defined by IEC and IEEE. I look forward to meeting you in 2017 - maybe soon in San Diego (CA) on January 30, 2017. Please drop us an email if you like this blog or you would like me to post other interesting information on the blog. OpenGridMap is a new open community that crowdsources realistic power grid data to be used for research purposes. Here you will find the tools for crowdsourcing power grid data. The goal is to create an open platform for inferring realistic power grids based on actual data. Our vision is to provide a tool to researchers and practitioners that is able to produce realistic input data for simulation studies. OpenGridMap will support the entire process from data collection to formatting grid data for various purposes. We explore innovative ways to capture data and produce power grid approximations, e.g., using smartphone apps, drones, expert classification, existing map APIs, and graph inference algorithms. Click HERE to visit the OpenGridMap website. "OpenGridMap is an open source project that crowdsources realistic power grid data to be used for research purposes. In this paper, we propose an approach for the automatic generation of power gird simulation models from crowdsourced data. The proposed approach orders the crowdsourced data into a power circuit relation which is then used to produce a CIM description file and subsequently a power grid simulation model. ..." ... and I guess the modelling in IEC 61850-6 SCL (System Configuration Language) will follow soon - I am sure. Click HERE for the above mentioned paper. Die drei (3) Blöcke (1 Tag + 2 Tage + 1 Tag) können einzeln oder in Kombination gebucht werden. Sie entscheiden selbst, ob Sie nur einen Tag von Ihrem Arbeitsplatz fern bleiben möchten oder zwei, drei oder vier. Je nachdem, welche Zeit und welchen Bedarf Sie haben. Der BDEW (Bundesverband für Energie- und Wasserwirtschaft e.V., Berlin) hat seit Jahren weitreichende Empfehlungen für die IT-Sicherheit veröffentlicht und mehrfach aktualisiert. Aus aktuellem Anlass (unter anderem die Einbrüche in DSL-Router) ist die Beachtung der vorliegenden Empfehlungen unbedingt angebracht!! HIER klicken, um die 12 Dokumente (jeweils mit einem eigenen Link) frei herunterzuladen. Das Lesen und Verstehen wird etwas Zeit in Anspruch nehmen - die Umsetzung wird ungleich aufwendiger werden! Sie sollten Ihr Management überzeugen, diese Empfehlungen ernst zu nehmen - nicht nur, um irgendwelche Anforderungen in Regulierungen oder Gesetzen zu erfüllen. Click HERE for the above standard ISO/IEC 27000. Click HERE for the complete list of publicly available standards. A 60 US$ Early Bird Discount applies until 31 Dec 2016. 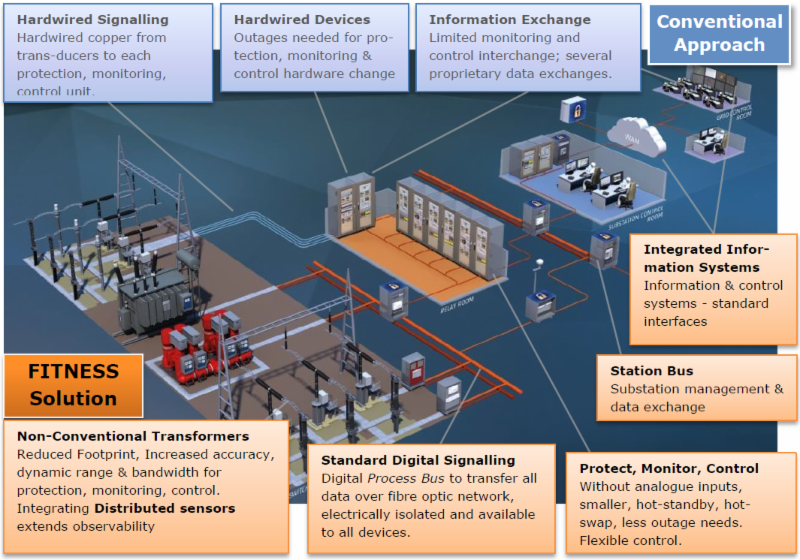 The Industrial Internet Consortium (IIC) has published a draft Security Framework (173 pages). The framework is quite interesting for all experts involved in information exchange systems ... also in the energy application domain. "These [IIOT - Industrial Internet of Things] systems differ from traditional industrial control systems by being connected extensively to other systems and people, increasing their diversity and scale. They also differ from traditional information technology (IT) systems in that they use sensors and actuators in an industrial environment. These are typically systems that interact with the physical world where uncontrolled change can lead to hazardous conditions. This potential risk increases the importance of safety, reliability, privacy and resiliency beyond the levels expected in many traditional IT environments." Click HERE for a copy of the IIC framework [pdf, 4.6 MB]. Click HERE for a white paper about the IEC 62351 series [pdf, 3.5 MB] and HERE for a page on Wikipedia. The IIC Security Framework gives an overview about many aspects in the future distributed automation and which aspects are crucial to be managed. and also show an example of a BAP. Am ersten Tag wird ein Überblick über das Normungsumfeld und die einzelnen Normen gegeben. Im Mittelpunkt stehen dabei die grundlegenden Eigenschaften und Bedeutung der Normenreihe IEC 61850 für Systemdesign, System- und Geräteengineering, Datenmodellierung, Datenmodelle (Schutz, Messwerte, Steuerungen, Power Quality Monitoring, Wind Power, Hydro Power, Dezentrale Erzeuger, ...), Kommunikationsmöglichkeiten (Client/Server, Publisher/Subscriber) und Sicherheitslösungen (IEC 62351). Der Vergleich mit IEC 60870-5-104, DNP3, Modbus und Feldbussen rundet den ersten Tag ab. Am zweiten Tag werden die Modellierungsmethode, die vielfältigen Modelle (Logische Knoten), die Kommunikationsdienste und -protokolle und die System-Konfigurations-Sprache (SCL) im Detail vorgestellt. Die Lösungen nach VHPready und FNN-Steuerbox werden präsentiert und diskutiert. Am vierten Tag wird das Erlernte in praktischen Übungen mit marktgängigen Steuerungsgeräten, Gateways und Werkzeugen vertieft. Eine Windows-Evaluierungspaket mit Client, Server, GOOSE-Publisher, Client/GOOSE-Subscriber und Server/GOOSE-Subscriber wird allen Teilnehmern kostenlos zur Verfügung gestellt; dieses Paket kann auch nach dem Seminar noch genutzt werden. Eine Spezialität unserer Seminare ist, dass die Teilnehmer zu Wort kommen: Fragen, Erfahrungen, Bedenken, Berichten über gelungene und weniger gelungene Projekte! Es erwartet Sie ein lebhafter Dialog zwischen dem Referenten und den Teilnehmern. Klicken Sie HIER, um mehr Details und die Anmeldeinformationen herunterzuladen [pdf, 320 KB]. Die mehr als 4.100 Teilnehmer meiner über 230 Seminare seit 2004 würden sicher alle bestätigen, dass das komplexe Thema IEC 61850 unbedingt eine geeignete Schulung verlangt -- und dass wir eine erst-klassische und einzigartige Schulung bieten! Zu einem unschlagbaren Preis! Garantiert! Es erwartet Sie Erfahrungen mit hunderten von Firmen und Organisationen! • The use of SCL in the conformance testing process is out of the scope for Ed2, but will be considered for Edition 3. • The complete document has been restructured in order to match the structure of IEC 61850-10 Edition 2.0. • All test cases applying SCL files are still not a part of the present document as the SCL specifications for wind power domain are still pending to be published. a) Major restructuring of the data model to accommodate needed flexibility. b) UFF58 format is no longer used. c) Access to data is now using the standard reporting and logging functions. IEEE PES published Report on "Centralized Substation Protection and Control"
technologies that can support CPC. Finally the report concludes that CPC technology, when appropriately applied, significantly improves the reliability of protection and control systems and the power grid at an affordable cost - with enhanced applications capability and maintainability for both hardware replacement an software upgrade." Translated: " ... Unfortunately the industry invests too little in view of the challenges in research and development. The German Pharmaceutical industry employs 40,000 humans in R&D laboratories. In the energy industry there are not such research and development mechanisms. That is not because of the fact that our industry is come to a hold and does not see challenges. It is financially no more able to implement comparable research activities. We have no more enterprises, which can do that. Everyone knows nevertheless around the difficult situation of many large energy enterprises. Also normal public distribution utilities cannot advance innovative developments in the storage area." Original: " ... Leider investiert die Branche angesichts der Herausforderungen zu wenig in Forschung und Entwicklung. Die deutsche Pharmaindustrie beschäftigt 40 000 Menschen in F- und E-Laboren. In der Energiewirtschaft gibt es solche Forschungs- und Entwicklungseinrichtungen nicht. Das liegt nicht daran, dass unsere Branche verstockt ist und Herausforderungen nicht sieht. Sie ist finanziell nicht mehr zu vergleichbaren Forschungsleistungen in der Lage. Wir haben keine Unternehmen mehr, die das können. Jeder weiß doch um die schwierige Lage vieler großer Energieunternehmen. Auch normale Stadtwerke können bahnbrechende Entwicklungen im Speicherbereich nicht voranzutreiben." Please click HERE to download his thesis [pdf, 93 pages, 17 MB]. Abstract. Distributed generation is transforming the power system grid to decentralized system where separate units like wind power generators or solar panel shall coexist and operate in tandem in order to supplement each other and make one extensive system as a whole so called smart grid. It is utmost important to have a control ability over such units not only on a field level but on a system level as well. To be able to communicate with numerous devices and maintain interoperability universal standard is a must. Therefore, one of the core standards relevant to smart grids is IEC 61850 – Power Utility Automation which comes into assistance and tackles aforementioned challenges. This project uses IEC 61850 architecture to implement client/server windows applications for on-load tap changer remote control. The proposed solution and designed applications are tested together with a real time simulator [OPAL] where simple power system is modelled to emulate the system response to control signals in a real time. In this way, the implemented applications can be tried and assessed as if performing in real environment. Consequently, a user of the client application is able to remotely control voltage on the power transformer's secondary side and manipulate the switching equipment simulated in the model. The KIT (Karlsruher Institut für Technologie) in my hometown Karlsruhe/Germany is deeply involved in several projects related to the Energiewende. One of the crucial components is the "Energy Lab 2.0". In "A Concept for the Control, Monitoring and Visualization Center in Energy Lab 2.0" the authors Clemens Düpmeier, Veit Hagenmeyer, Ralf Mikut, and Karl-Uwe Stucky present an interesting concept. Click HERE for a 16 page presentation presented in November 2015. The research focuses on the APPLICATION of Control, Monitoring, and Visualization of various aspects of energy systems (gas, electricity, heat) - not just electrical systems. IEC 61850 is THE solution for the process instrumentation - share process information in a standardized way. Hm, the cake was very delicious. FITNESS Pilot: Are You Fit For The Future? will give all professionals in the utility industry a comprehensive introduction on IEC 61850. It provides all crucial knowledge engineers need regarding the scope, use-cases, capabilities, benefits, restrictions, limits of IEC 61850, and availability of products (IEDs and Tools). We are extending a 40% discount for participants who registers with us by 14 October 2016. How to use Generic Input/Output Logical Node "GGIO"
The Logical Node Class GGIO (Generic Process I/O) is (in my experience) the most liked and hated Logical Node. Why? GGIO is often used instead of well known Logical Nodes. The use of GGIO is not standardized! You may use it or not ... one way or the other. Last week I was contacted by an utility engineer on how to map reporting signals (M1-Boolean, M2-Boolean, M3- ...)? In the first case we instantiate GGIO 10 times. Both modelling approaches are defined in IEC 61850-7-1 and 7-4. The second approach may not be supported by all tools and devices. I personally would prefer the second approach. This 6th edition comprises 455 pages compared to 182 pages (Ed1), 187 pages (Ed2), 260 pages (Ed3), and 323 pages (Ed5). Click HERE for a nice introduction to CIM [pdf]. Many experts believe that it is sufficient to have an "air-gap" between their system and the internet or other outside systems. Because they expect that an "air-gap" would not allow to attack their system. Several other experts do not believe that. "Due to the latest boom of deploying an exponentially increasing number of power electronics and semiconductor based equipment directly in the area of medium, high and ultra-high voltage transmission networks, the call for integrating those direct current related processes and control systems into IEC 61850 is only logical and consecutive. FACTS and Power Conversion are thus indispensable to secure power supply and represent a vital component within the backbone of efficient, reliable and resilient future smart grids. This technical report finally enables those technologies to also become an integral part of the IEC 61850 world." I hope that the vendors AND users will contribute to the review of this crucial extension. Learn the challenges and drawbacks after 20 years of IEC 61850 and related Standards. All people that have heard about the complexity of the standard series IEC 61850 – BUT had not yet a chance to understand what it really provides. People that are looking for comprehensive and neutral information. Click HERE for more details and registration information [pdf, 350KB]. The UCAIUG group has issued almost 700 certificates for IEC 61850 implementations. Click HERE to access the list of UCAIUG Certificates. These days we hear some noise from a few US people telling you that the interest in IEC 61850 in North America is still low. Ok. What does this mean? Almost nothing. IEC 61850 is used in many applications in North America - many are not publicly reported. Why should a customer that is happy with the solution talk about it in the public? BS degree or equivalent practical experience. 10 years of experience in the design and operation of mission critical facilities, including programming and design experience. Experience with facility power and cooling related infrastructure systems for data centers or equivalent critical infrastructure, including PLCs, SCADA systems, historians, industrial automation and controls systems design. Experience with bussed I/O including IEC 61850 and Modbus. Experience in the compliance requirements of pertinent codes, regulations, and standards." Click HERE for the complete GOOGLE Job description. Another 20+ open positions in the US can be found on www.simplyhired.com. Click HERE. In Germany you find 10+ open job descriptions. Click HERE. The number of visitors of this blog from the US is also growing and already high: 300+ per day (average during the last months). Ziehl (Schwäbisch Hall, Germany) has integrated IEC 61850 GOOSE into their Pt 100 temperature relay for up to 12 sensors with electric 10 MBit/s Ethernet interface. Type TR1200IP temperature relays register the temperature of up to 12 sensors simultaneously and provide the values to the electric 10 MBit/s Ethernet interface. 2 IP protocols are supported, so the registered temperatures can be subsequently evaluated by connected devices that are linked with the TR1200IP via an Ethernet network. In motors, that could be a motor contactor, in transformers a transformer contactor with integrated overload function and thermal monitoring. An alarm relay reports devices and sensor errors. Sensor breaks or sensor short-circuits are also transmitted via the protocol to the connected evaluation unit. Click HERE for a general overview. Click HERE for GOOSE configuration. The GOOSE messages could be received by an HMS SG Gateway either as a client or a server. The SG Gateway could convert the received GOOSE messages into an IEC 61850 server to provide Reporting and Logging and convert to IEC 60870-5-104 or DNP3. A lot of discussions about the benefits of using IEC 61850 have happened in the past and are still going on ... and will go on also in 2017 and beyond. A system solution that is repeatable, pre-engineered, pretested, and designed to specifications is extremely important because it provides the user with a standardized solution that can be implemented across the system, minimizing different designs." How to get Interoperability and Interchangeability with IEC 61850? The standardization process in the context of IEC 61850 is picking up quite fast. As you have learned in the posts of today and older ones, there are several new topics on the list of items to work on for future new parts of IEC 61850. One of the crucial objectives is the interoperability and INTERCHANGEABILITY of devices from different vendors in a multi-vendor system. To reach this goal, we need standards! Sure. But what is absolutely required is the EDUCATION of experts from Vendors, Utilities and System integrators. We offer the right courses for you: With focus on protection, automation and SCADA.In English and German. Hurry to reserve your seat! You would get more than in any other course - because two of most experienced experts (Andrea Bonetti and Karlheinz Schwarz) will guide you through the most crucial aspects of IEC 61850. The combined experience of the two is unparalleled. Edition 2 of IEC 61850-4 was published in 2011. Edition 2 of IEC 61850-6 was published in 2009. Ultimately, the proposal by the ENTSO-E statement and example of engineering process, aims to serve the market in order to reach the multi-vendor interoperability of systems in an efficient way. Input and data flow modelling / Virtual IED - Introduction of additional specification features of IEC 61850 based systems within SCL. System engineering efficiency - Introduction of additional specification and configuration features of IEC 61850 based systems within SCL. Communication Network Description - Introduction of additional specification and configuration features of IEC 61850 based systems within SCL. Please note that big utilities (in Europe ...) have already used SCL to specify the details they want vendors to implement. The time where vendors could model the automation system the way they like it most seems to be over soon. Utilities start to understand that even interchangeability is the ultimate goal!! It all depends on the willingness to cooperate! This technical specification will define an XML schema for describing the code components of the data model parts of IEC 61850, to be used as input for tools (typically engineering or specification tools). In order to foster an active tool market with good quality, and at the end to improve IEC 61850 interoperability, the market needs a machine-processable file describing data model related parts of the standard as input. This will avoid the need for any engineering tool related to the IEC 61850 datamodel to get the content of the standard manually entered, with the highest risk of mistakes. The NP comes with a 150 page draft. As more application domains are added to the IEC 61850, additional modelling, description and functional capabilities need to be added to the “core” of IEC 61850. One of the missing capabilities is functional redundancy, required by e.g. HVDC, FACTS and industrial applications. Other redundancy systems might also need additions to the standard for correct modelling. This should be investigated in this work. It is intended to write a Technical Report. "Integrating SCADA, Load Shedding, and High-Speed Controls on an Ethernet Network at a North American Refinery"
This paper discusses the implementation of an Ethernet communications network in a ring that connects substations in a closed communications loop at a large industrial facility. Data are transmitted at protection speeds and must be dependable for industrial power system operation and maintenance applications. The redundant electric power system Ethernet communications network is used for a supervisory control and data acquisition (SCADA) system that automates industrial electric power system operations. "SACE Emax 2 -- IEC 61850 integration with MV systems"
PVC plant in Jemeppe needed to upgrade the LV side of the electrical plant, so that it could be fully integrated into IEC 61850 protocol used in MV switchboards. Not only customer needed to monitor status and parameters from air circuit breakers installed in the LV switchboards, but also to control them remotely and to interlock them with MV ones. Jemeppe plant was aiming at a higher system productivity, by avoiding protocol converters, and an increase of safety for technicians thanks to remote control for air circuit breakers. Solvay uses IEC 61850 for the Operation of high, medium and low voltage systems. The recent post "Power Quality Meter Goes IEC 61850 and IEC 60870-5-104" needs some explanation to understand what the Gateway could do. In the case described in the post, we use one gateway for one power quality meter. Of course this is only one example. A single gateway can acquire signals from many power quality meters from different brands and via different protocols: Modbus I/O, Modbus/TCP, Profibus, ProfiNet, Ethernet/IP, and IEC 61850. The gateway acts as well as a data concentrator, data manager, or proxy gateway. You may use it for any other signals - outside the power quality application. It may be connected to a substation LAN and tap GOOSE messages flying around. The nice thing is: It can transform between (almost) ANY protocol without the need that IEC 61850 or IEC 60870-5-10x is integrated directly into the end device like a power quality meter. In the future we will see more devices that have IEC 61850 integrated into their devices (by using a special piece of hardware or integrated onto the main controller of the device). How to Exchange a Voltage Measurement with IEC 61850? As discussed before you will find a reasonable example to learn the benefits of applying IEC 61850. According to IEC Electropedia we find many names for the same semantic: voltage, Spannung, spenning, ... Ok. These help humans to understand what we are talking about. But what about machines (controllers, SCADA systems, ..)? They have to use a data type (int16, int32, float32, ...) and a reference (address ...) for a specific protocol like Modbus. Each vendor will likely use different types and addresses. What's about the scale in applications that use integer? Is the scale known when you read the value of a voltage? Do you know the offset or the multiplier (V, kV, mV, ...)? How do you know where the measurement is taken in the electrical system (location in the single line diagram)? Answers to these questions may be found in a set of documents sitting on a shelf or on someones computer - hard to find out if the owner is on vacation. Phase A voltage has a standard name "MMXU.PhV.phsA" with the value, quality, timestamp, units, and scale. These names are used all over in any IEC 61850 device. The device has all information to interpret the voltage value for phase A. The value is located in the device "BayController". The device is communication wise identified by an IP Address. This information really exposes all information needed to interpret a measurement. Note that this name needs not to be communicated when the value is reported cyclically or issued by a limit change.The report message could only carry the value, quality and timestamp. The SCL file has all information to configure the whole system and the devices. Hope you have learned this: IEC 61850 goes very far beyond a protocol! We only need the protocol when we retrieve the selfdescription or read out or report the values. And: the nice thing is that any device that implements the standard uses the same model, configuration, and services. What else do we need? Many experts (especially in the higher management and HR) have years of experience with one or several protocols - working with 600 baud or even 100 Mbit/s Ethernet based links. It happens quite often that those experts are promoted for higher management functions. Many of them have no experience with the approach of IEC 61850. But they often have to decide if, how and when the new technology will be used. Because of the complexity, they may decide not to use it at all and even not trying to understand what it really could offer their engineers - at least as long as they are the persons in charge. The real issue is (as Dee Hock, Founder of Visa put it): "The problem is never how to get new, innovative thoughts [IEC 61850] into someones mind, but how to get old ones out." One of these "old ones" is the opinion that IEC 61850 is something like DNP4 or IEC 60870-5-105 -- just another but more complex protocol (MMS, ISO 9506). This (old, too old, wrong) opinion has also a big impact on decisions, e.g., to get a green-light for attending an IEC 61850 training course. Managers and HR often have the opinion: Why do we need this comprehensive training (of 2, 3, 4, or 5 days) for just another protocol? Often the light stays at RED! How to use it for protection, SCADA, monitoring, power generation applications -> x days (depending on what application you have in mind). If you don't understand what Models and SCL provide ... either take a course or stop discussing it. IEC 61850 is not intended to replace any other protocol with MMS! In order to harvest the fruits of the application of IEC 61850, you have to look at any other topic than protocols. But you have to be open to take a closer look at the issues listed under bullets 2 to 5. You will not get an answer by just reading the standards ... take a course to get a reasonable understanding. Be an ENGINEER - not just a boss or a leader. Click HERE for a nice illustration at LinkedIn (or optionally HERE) to see the difference between old approaches and the engineers solution. IEC 61850 is a very big vehicle to carry a lot of loads - to make life easier. I will post some example to show you the real benefits. Klicken Sie HIER um mehr Details und Anmeldeinformationen herunterzuladen [pdf, 320 KB]. Die mehr als 4.100 Teilnehmer meiner über 230 Seminare seit 2004 würden sicher alle bestätigen, dass das komplexe Thema IEC 61850 unbedingt eine geeignete Schulung verlangt -- und dass wir eine erst-klassische Schulung bieten! We will offer the same seminar in English from 13-16 Dezember 2016 as well in Karlsruhe (Germany). Details will be available the next days. The flyer lists all crucial topics that are comprised by the various training opportunities: public or in-house, 3, 4, or 5 days ... or as many days you (our customer) want. Click HERE for a brief report of the Bangalore event. whenever you are prepared to get it. Talk to your management or HR - to get it. I look forward to meeting you some time down the street. FMTP, KTH, OPAL RT, and NettedAutomation have scheduled a very comprehensive IEC 61850 Training in Stockholm (Sweden) for 19-23 September 2016. The course is filling-up very fast. Click HERE for the brochure with all details. A similar Course (4 days) is scheduled for Karlsruhe (Germany) 10.-13. October 2016.
utilize these custom roles in power systems. Comments are welcome latest by 2016-10-07. "Critical infrastructure is a term used by governments to describe assets that are essential for the functioning of a society and economy - the infrastructure." Many other areas could be taken into account - all domains where we have some automation in one form or another you may or may NOT TRUST. So far we have trusted our teachers, our employers, our parents, our car, our friends, our banks, our electric power delivery system ... There seems to be a change coming step by step. What could we all do about it? For our family we have just decided to install a 9,8 kWp Photo Voltaic system on our roof. This is - hopefully - a power harvesting machine we could trust ... as long as the sun is shining. "The Homeland Security Department is actively considering whether it should add the nation’s election system — or the individual systems that 9,000 local and state jurisdictions use to collect, tally and report votes — as an entity that needs DHS protection from cybersecurity attacks." What if we put it all under the new term "Critical Everything" (CE)? All depends on human beings we have to trust! I want to be such a person - my wife, my family, our friends, you, ... can trust. When we engineers develop something, we should pay a lot of attention to make the "something" robust, safe, ... better safe than sorry. Let's do our best in the interest of all our societies.